March 28th, 2019 – Democratic Senator Cory Booker will soon be facing over a dozen candidates as they vie to be at the top of their party’s ticket for President of the United States in 2020. 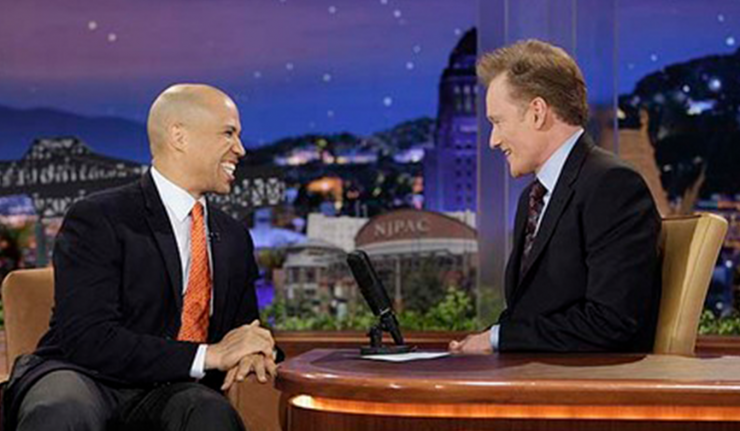 But back in 2009, as mayor of Newark, Booker had another sparring partner: Conan O’Brien. The pair found themselves in a jovial, but deep-rooted, spat after Conan made a joke about Newark — a city whose reputation has fought an uphill battle after been named “The Most Dangerous City in the Nation” in 1996. While plenty of jokes have been made about Newark, O’Brien’s jab stung a bit harder coming from a comedian that Booker admired and at a time when progress was being made. Conan had recently taken over for Jay Leno as The Tonight Show host when the Newark-Burbank battle began. Booker recently talked about his foray into comedy on an episode of Pod Save America. Speaking with host Jon Favreau, he shared his vision for using new approaches and creative thinking in order to organize and problem solve. So, instead, Booker turned to comedy. He went to his office, recorded a silly video, and “banned” Conan from the Newark airport. Undeterred, Conan simply “banned” Booker from the Burbank airport. Over the next two weeks, the pair escalated the antics: Booker banned Conan from New Jersey, Conan banned Booker from California, and Secretary of State Hillary Clinton even made a video calling upon her diplomatic skills to resolve the comedic tension. After Conan landed a few more blows — including creating a “geographic toilet seat” around Newark as he teamed up with leaders from neighboring Jersey cities, and dedicating a video tribute to Newark highlighting the city’s thriving art scene by showing off graffiti-filled walls — he finally invited the mayor to join him in Burbank. During the interview, the unlikely duo talked about the work Booker had done to reduce crime, bring supermarkets to food deserts, provide job opportunities, and reduce the recidivism rate. And, sure, they made some more jokes at each other’s expense. 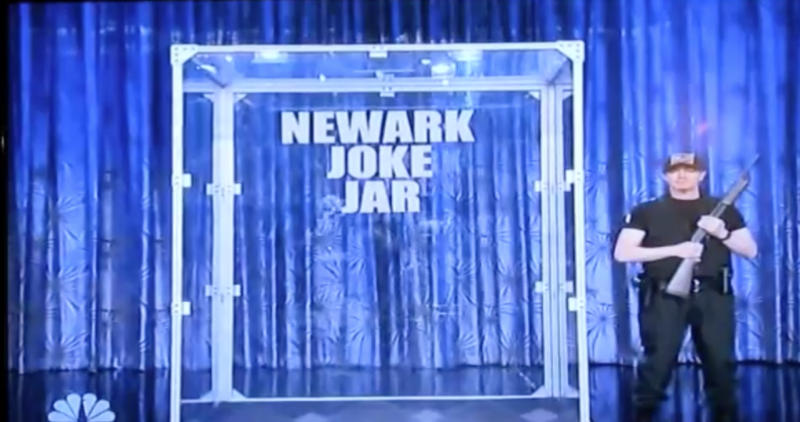 Conan also extended an olive branch in the form of a Newark Joke Jar (where he would donate money for any ongoing jokes at the New Jersey city’s expense. He only made it a few seconds before having to pony up. “You can rest assure that the money’s safe, because the jar isn’t in Newark,” Conan said to camera before making his way to the jar to drop off some cash. By the end of the interview, Conan also shared that he and his wife, along with NBC Universal, made a $100,000 donation to a Newark charity. “I just wanna say: It was one joke, and, man, was it expensive,” Conan quipped. Booker now has stronger name recognition and a larger constituency to represent, and when he reflects back on his viral comedic moment with Conan in 2009, he believes that played a hand in getting things done. A joke battle got him more media attention than he had ever gotten before — allowing his message and policies to not get lost in the shuffle.